No Purchase is necessary to participate. To be entered to win, please fill out the following form. Please note that there is a limit of one entry per person. WHAT DOES Metropolitan Commercial Bank DO WITH YOUR PERSONAL INFORMATION? All financial companies need to share customers’ personal information to run their everyday business. In the section below, we list the reasons financial companies can share their customers’ personal information; the reasons Metropolitan Commercial Bank chooses to share; and whether you can limit this sharing. How does Metropolitan Commercial Bank protect my personal information? To protect your personal information from unauthorized access and use, we use security measures that comply with federal law. These measures include computer safeguards and secured files and buildings. We also maintain other physical, electronic and procedural safeguards to protect this information and we limit access to information to those employees for whom access is appropriate. How does Metropolitan Commercial Bank collect my personal information? Companies related by common ownership or control. They can be financial and non-financial companies. Metropolitan Commercial Bank does not share with our Affiliates so they can market to you. Companies not related by common ownership or control. They can be financial and non-financial companies. Metropolitan Commercial Bank does not share with non-affiliates so they can market to you. A formal agreement between non-affiliated financial companies that together market financial products or services to you. Our joint marketing partners include credit card account companies. For Texas Customers. If you have a complaint, first contact the customer service division of Metropolitan Commercial Bank at 1-866-363-8226.If you still have an unresolved complaint regarding the company’s money transmission activity, please direct your complaint to Texas Department of Banking, 2601 North Lamar Boulevard, Austin, Texas 78705, 1-877-276-5554 (toll free), www.dob.texas.gov. BY USING THIS CARD YOU AGREE WITH THE TERMS AND CONDITIONS OF THE CARDHOLDER AGREEMENT AND FEE SCHEDULE, IF ANY. 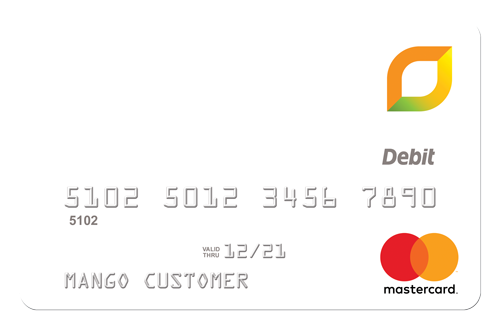 The Mango Prepaid Mastercard is issued by Metropolitan Commercial Bank (Member FDIC) pursuant to a license from Mastercard International. “Metropolitan Commercial Bank” and “Metropolitan” are registered trademarks of Metropolitan Commercial Bank ©2014. Important information for opening a card account: To help the federal government fight the funding of terrorism and money laundering activities, the USA PATRIOT Act requires all financial institutions and their third parties to obtain, verify and record information that identifies each person who opens a card account. What this means for you: When you open a card account, we will ask for your name, address, date of birth, and other information that will allow us to identify you. We may also ask to see your driver’s license or other identifying documents. Use of the Card is subject to funds availability. Fees, terms and conditions apply. See the Cardholder Agreement for details. All trademarks, service marks and registered marks are the properties of their respective owners. *The Annual Percentage Yield advertised of 6.00% may only apply to a portion of your Savings balance. Monthly signature purchase requirements apply. See Savings Feature Customer agreement for additional details. **Standard message and data rates from your wireless service provider may apply. Rate is accurate as of October 26, 2018. At our discretion, we may change the interest rate on your Savings Feature. We may change the interest rate on your Savings Feature at any time. IMPORTANT 1099 NOTICE: Mango has sent 1099 documents by email to all Mango Savings Account Holders who received interest payments of at least $10.00 in 2018. If you haven’t received it, please check your spam folder and confirm your email address is correct. If you did not receive it, please send an email with the last 4 digits of your card number, first name and last name and complete phone number and address with zip code and last 4 digits of your SSN for verification purposes to: mangosupport@praxell.com or call 855-687-2036.